After a [insert expletive] day at work… all I wanted to do was run. I was counting down the minutes. At 2:35 I finally got out the door. It was overcast, cold, not the most inviting day. But I was in my head, working things out, pushing it up the hills and coasting down them. I finished my 13 miles and battled Friday afternoon traffic. Got an amazing phone call from one of the teachers that I coach… she ran her furthest run yet, over 7 miles. She’s hooked now. There’s no turning back [you know it]. It’s going to be a chill Friday night here. Pizza, wine, Home Alone, and stove top popcorn. I’m tired. I’ve already had two long runs this week [one 15 miler and one 13 miler, with an 18 mile marathon pace workout awaiting me this Sunday]. I remember when I used to think 13 miles was a “long run”. Home Alone is my favorite Christmas movie. By far. I remember watching it with my best friend Vanessa and with my sisters every year. Kevin was the same exact age as me and I thought that was cool. Sometimes I feel like an 8 year old when I watch it. 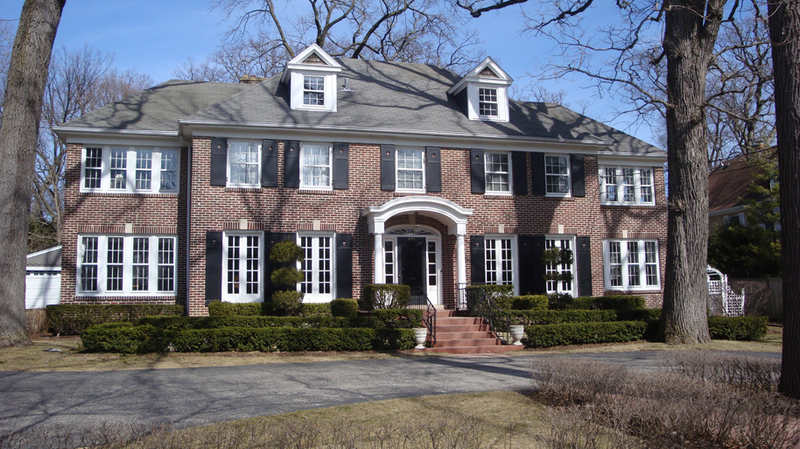 I heard the McAllister’s house is actually for sale in suburban Chicago. That’s my ultimate dream house. The house from the movie "Home Alone"
Yep, I just looked it up. Only 2.4 million. No big deal. Well, the pizza’s ready. Hope everyone has a good weekend! I have some really cool news to share soon, but in the meantime I’d just like to wish everyone running at USATF Club XC Championships good luck tomorrow… especially the Oiselle Racing ladies! It took a 5 mile run to get me hooked (little less than 3 years ago) and, yep, haven’t looked back. Good for her! It’s funny how it happens like that, huh? She started training for this half marathon, and she’s already talking about a full marathon. A year ago she told me she hated running, ha!